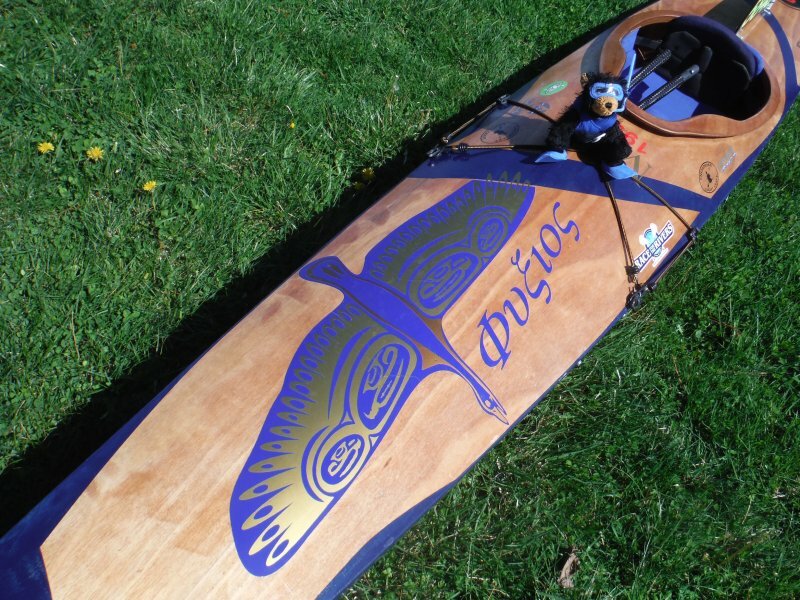 Phyxius is a kayak race boat. It is a CLC designed kit — West River 180. It is 4mm plywood built super light. I have over 250 miles of competition. John Harris got this design out of his obsolete files and retooled it for me. 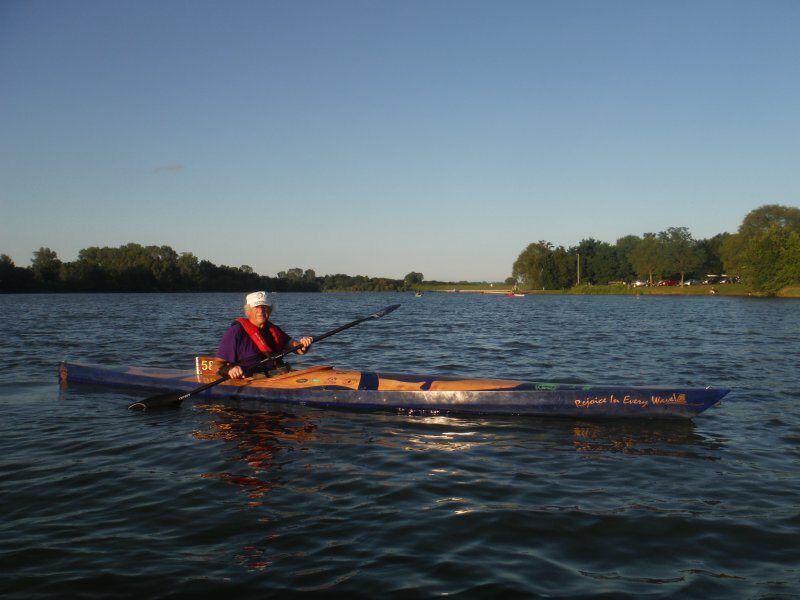 A very good boat for moderate distance racing.